Book your 7 day Hawaii cruise package with a dedicated Hawaii travel agent who will make your vacation to Hawaii a dream come true. The easiest way to book an island hopping vacation is a Hawaii cruise package which includes flights to Honolulu, pre or post cruise hotels, ground transportation and cancellation insurance. Plan ahead for the best choices and rates and take advantage of a minimum deposit and a paymet plan. For more information about the cruise dates you have in mind call 808-330-6865. Check for availability and rates for sailings through December 2019 and for sailing dates that qualify for discounts and promotions. Sailings through December 2019 available for booking now. Contact us to learn about Hawaii cruise package deals that include a choice of one free offer. 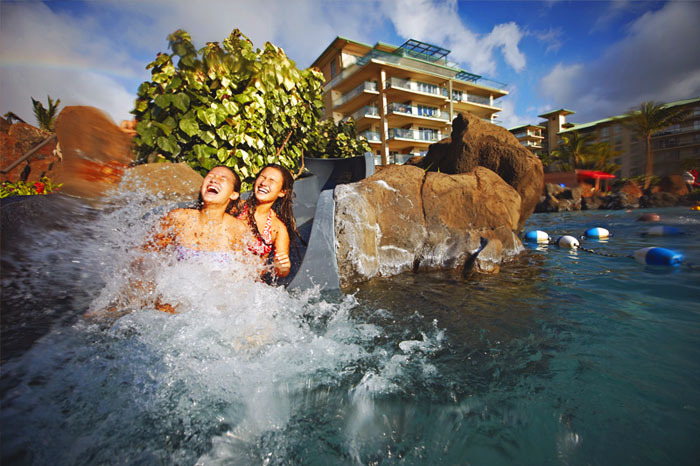 Call 808-330-6865 for availability and rates. 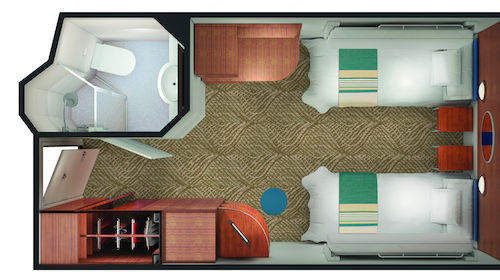 Sailings through December 2019 available for booking now. The 7 day Hawaii cruise departs from the port of Honolulu every Saturday. Cruise in luxury between the Hawaiian Islands on a 7 day Hawaii cruise departing from Honolulu every Saturday. The weather is good all year. Summer is in the mid 80s, winter is high 70s to low 80s. Warm and breezy with light showers on the windward side of the islands, every day is unique. Pride of America is the cruise ship departing from Honolulu every Saturday. Include a rental car for 2 days on Maui and Kauai if you want to go sightseeing on your own. Morning arrival at the shore of Kailua Kona Village where you will be escorted to shore on a small transfer boat to enjoy shopping and dining in Kailua Kona’s historic village. Arrival at Kauai is 8:00 am on Thursday, departing at 2:00 pm on Friday. The ship sails along the east coast of Kauai and around the north tip for views of the Napali Coast. Returning to Honolulu you will cruise overnight, arriving at dawn on Saturday morning. Free at Sea Promotions for Hawaii. 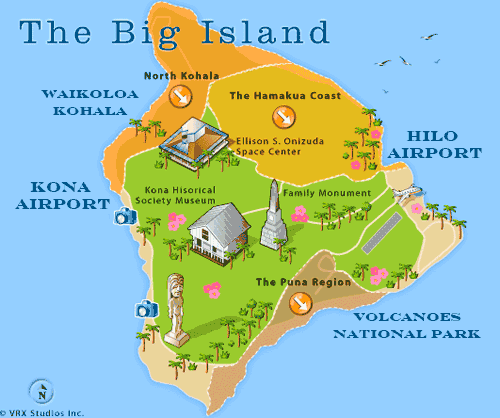 Travel Guide to Hawaii will search the promotions offered for your travel dates to select the best deal for you. Choose from promotions that may be offered including free pre-cruise hotel or free prepaid gratuities. Not all travel dates qualify for the “Free At Sea” promotions, we can help you choose which free offers are available for your cruise vacation to the Hawaiian Islands. 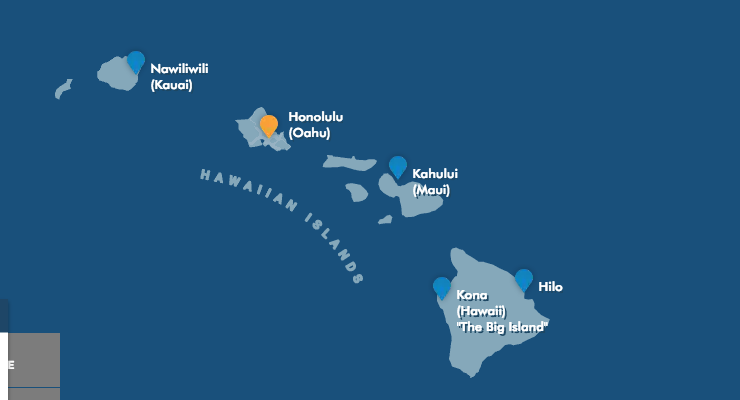 Learn more about cruising in the Hawaiian Islands. Views of the coastline on all islands. Views from the balconies in the public areas of the ship are excellent. 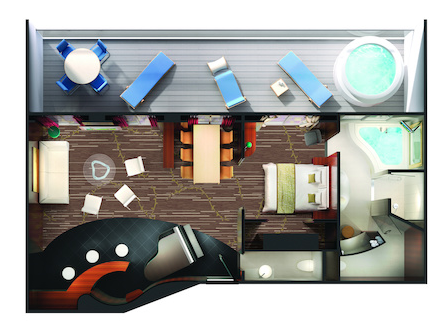 The obstructed view with window cabins are on a low deck with little or no view. 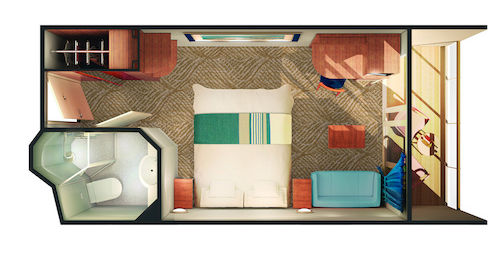 Unobstructed ocean view cabins are the same cabin layout on higher decks. 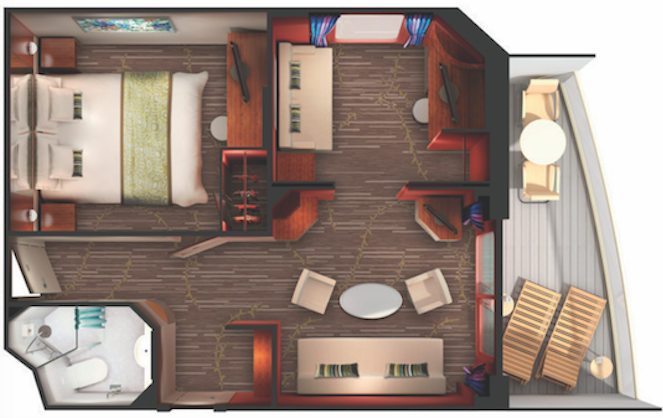 7 day Hawaii cruise ocean view cabin with balcony. Lots more room and views. The spacious feeling of the wind blowing through the open doors. The sounds of the waves as you cruise through the open ocean between the Hawaiian Islands. Wow, this looks really comfortable. 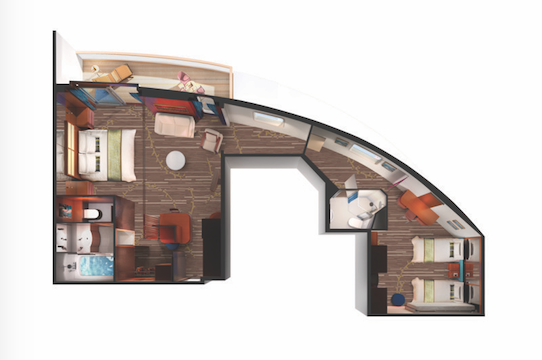 Families will appreciate the privacy of this floor plan. Call us at 808-330-6865 Hawaii Time Zone. Lights, Camera, Music! In this elegant tribute to the greatest moments of the Hollywood Musical. Production Cast recreates the greatest moments in Vegas’ history. 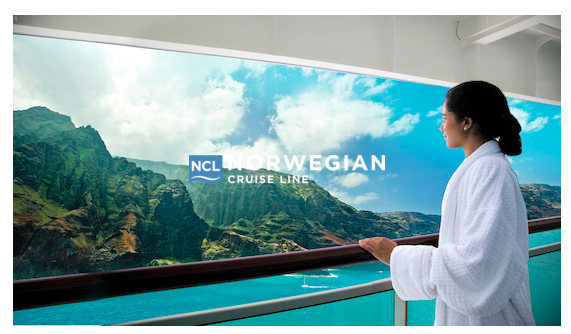 NCL Shore Excursions help line 1-866-625-1167. 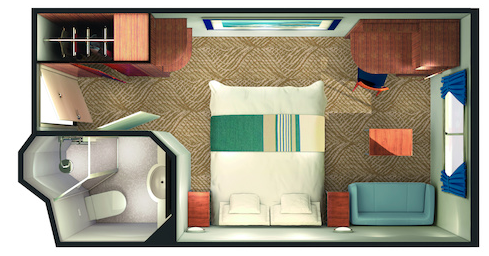 Include in your email, on the subject line, your name, cruise date, reservation number(s).